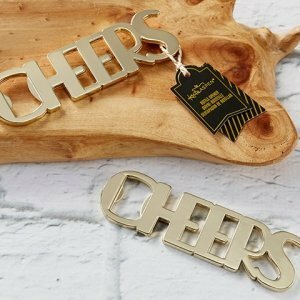 Pop the top and cheers to your birthday celebration with Kate Aspen's Cheers to You Gold Bottle Opener. 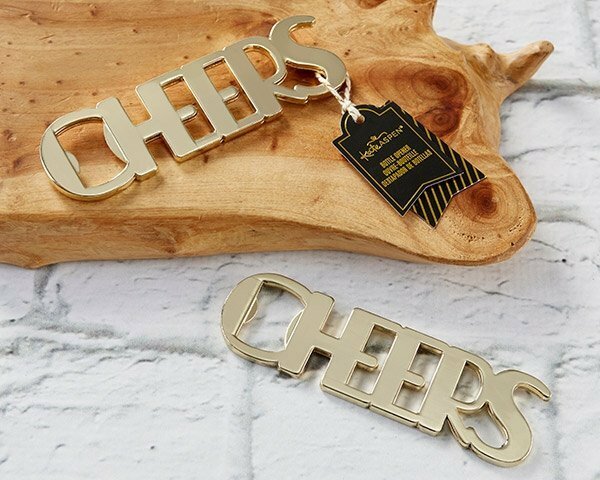 Constructed of durable god metal, this fun and unique bottle opener spells "Cheers," using the "C" as the bottle opening area. Guests will enjoy this great bottle opener favor long after the festivities have ended.